The Totally Wild story Three Little Endangered Animals will be going to air on Thursday 15th November 2012 at 3:30pm on Network Ten, Australia. The story features a play about the bilby, the cassowary and the dugong. The play will be travelling to most schools in Queensland. The episode will also be available on line at www.totallywild.com.au. After two years of devotion t o cassowary conservation, Tablelands tree planting and tramp ant eradication, Deb Pople has decided to leave the Wet Tropics Management Authority and apply her considerable skills and experience in new realms. 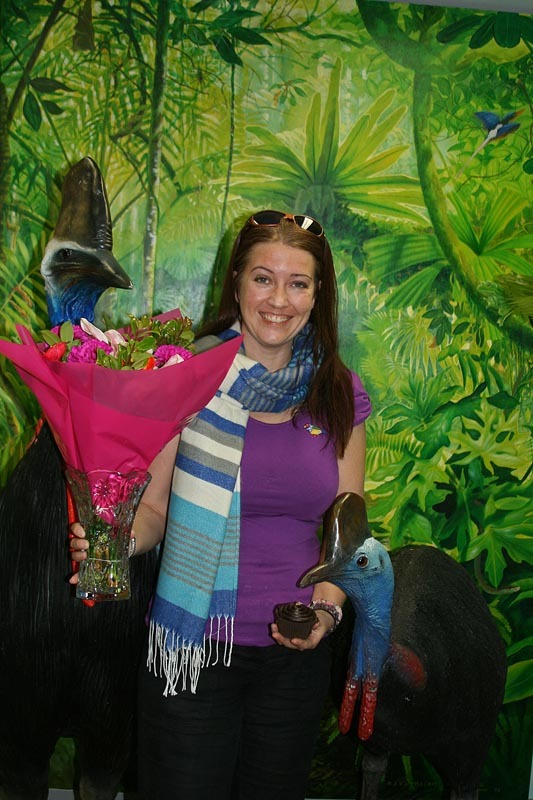 Deb has been a driving force behind the Cassowary Recovery Team and established the website from scratch. She will be greatly missed. All the best Deb, and we hope to still see you around the Wet Tropics!